Round 5 only has 4 games this week but each one will be very competitive and with the Perth Wildcats having a bye week no team looks like they should dominated and each game looks hard to pick. Taipans playing the Sydney Kings in Sydney. This should be a close game, if Cairns lose this one they will slip to a losing record and the Kings will get up to an even win loss record. According to the NBL injury update the Sydney Kings will be down 2 players in James Harvey and Shaun Gleeson where the Carins Taipans will be down last years rookie of the year Cameron Gliddon. The loss of James Harvey and Shaun Gleeson is not the biggest loss as Ben Madgen has started to get back to form with some big games in the last two rounds. However the loss of Cam Gliddon for the Taipans is very big, the Taipans look a lot shallower with him on the bench and will miss his outside game that has been very good early in the season. 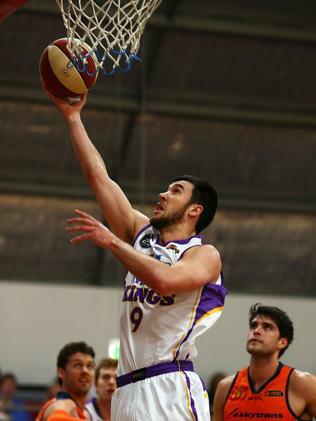 I'm picking the Kings to get the win at home by 6 due to the loss of Cam Gliddon for Cairns. It will be a tough fight for the Kings and Centrebet has the Kings at $1.81 for the win and the Taipans at $2.00. Adelaide 36ers are playing Melbourne Tigers again this round this time in Adelaide. The 36ers showed their composure under pressure to hold their lead in the final quarter last round getting the win over New Zealand and Sydney. Last time Adelaide and Melbourne met the Tigers got the win at home in an entertaining game with the old Gold Coast Blaze players matching up well against each other. If Adelaide find a way to contain Chris Goulding then they should get the win with their depth of bench and good team leadership in Gary Ervin and Adam Gibson. However if Goulding and Mark Worthington get some early points for the Tigers they will keep hitting them through the night. This will be key for the 36ers to beat the Tigers as Goulding and Worthington their are the key players and if they get hot their hard to stop. If they can contain Goulding and Worthington early Adelaide should be able to use their height and depth of bench to carry them to the win at home. The NBL injury update has the 36ers with no injuries however i hear that Jarrid Frye may have an injury and might not be at ful strength. Frye has a big offensive output for the 36ers and if this is true may really change the game and going from Chris Goulding's 34 points last round I'm going to pick the Tigers to take the win against a very strong looking 36ers line up. Centrebet has Adelaide to win at $1.55 and the Tigers at $2.45. In my opinion this is the best bet of the week. The Tigers have shown they can beat Adelaide but whether they can in Adelaide is another thing. It should be a great game and my pick of what to watch for the night. 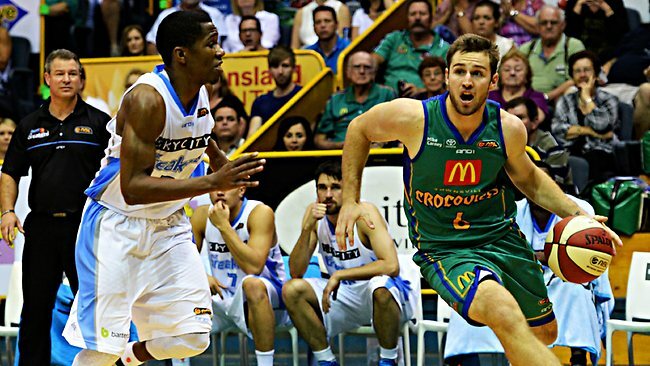 The last game of the night is the Townsville Crocodiles hosting the New Zealand Breakers. Townsville beat New Zealand last time they played in Townsville early in the season but with the breakers starting to play better as a team it will be a tough night for them to get a repeat. The Addition of Gary Wilkinson to New Zealand's line up has given them a strong outside shooting big man which may disrupt the Crocodiles defense. A good defense will be key for the Croc's to get the win. With the home court advantage the Crocs may be able to to hold the Breakers back however they will need some good defensive stops and for the Breakers to maybe miss a few otherwise the Breakers should get their season back on track with an away win over the Crocodiles. Centrebet has the Crocodiles to win at $2.75 and the Breakers at $1.45. I'm picking the breakers to win in Townsville by 12 however if its close in the final quarter and CJ Bruton isn't hitting his shots Townsville may squeeze out a win. Melbourne. Melbourne may be a bit fatigued after playing Adelaide on Friday as Adelaide love to run the ball. If the Hawks can use this and run the ball at every chance they may actually be able to make it a close one. The Hawks will be missing their center Larry Davidson and they will be very susceptible to some inside play from the Tigers 7 foot center Scott Morrison. The tigers should get this win but Wollongong always fight hard and I'd love to see them keep it competitive but I'm still picking the Tigers to win at home by 12. If your looking for a roughie to get the win on a punt Centrebet have the Hawks to win at $4.00 and the Tigers at $1.25. Rotnei Clark has shown his hot shooting with 36 points in a loss last week and if he can continue that form and somehow contain Chris Goulding there is no reason the Hawks might not pull off a win in the final quarter with a fatigued Melbourne line up on the floor.